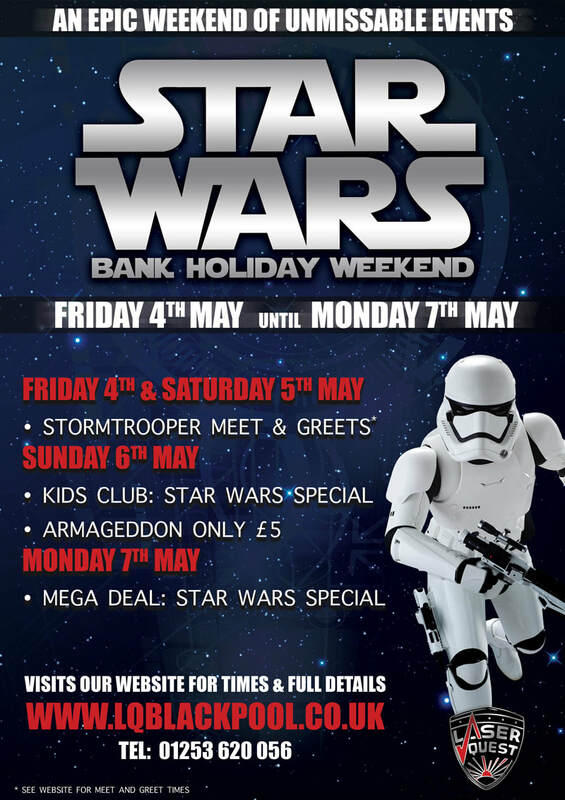 Celebrate Star Wars and the Bank Holiday weekend with us here at Laser Quest! Visit Laser Quest and come face to face with our very own StormTrooper, where you'll be able to take photos and selfies - May the 4th be with you! 2 hours of epic Laser battles just for kids. Includes: unlimited drinks and StormTrooper meet and greet! Our best value for money event ever! 3 hours of Laser Quest including specialist games exclusive only to Armageddon! This is a popular event, a great way to socialize and meet new people.